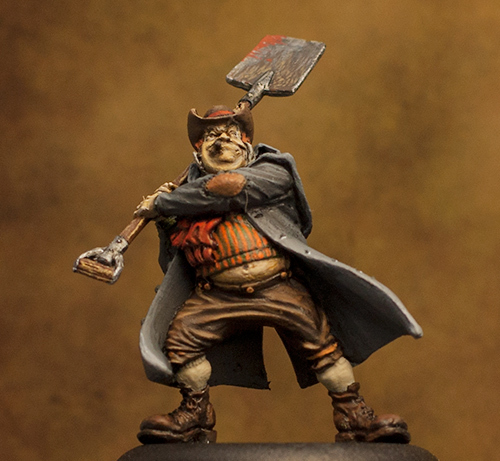 Ok, I’ve decided to try to complete a crew for the Wyrd Miniature contest I mentioned in my last post. 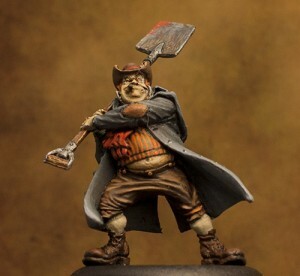 I started with a figure called Mortimer the Gravedigger. The finished Mortimer. 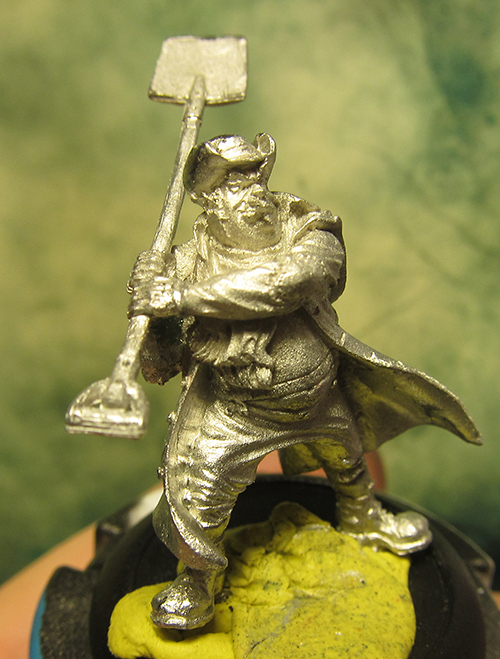 I will do some more touchups on him. I want to add some more details in the face, and I am not sure if like the color of his lower legs. As I was painting Mortimer, I didn’t put the paints back as I was using them. 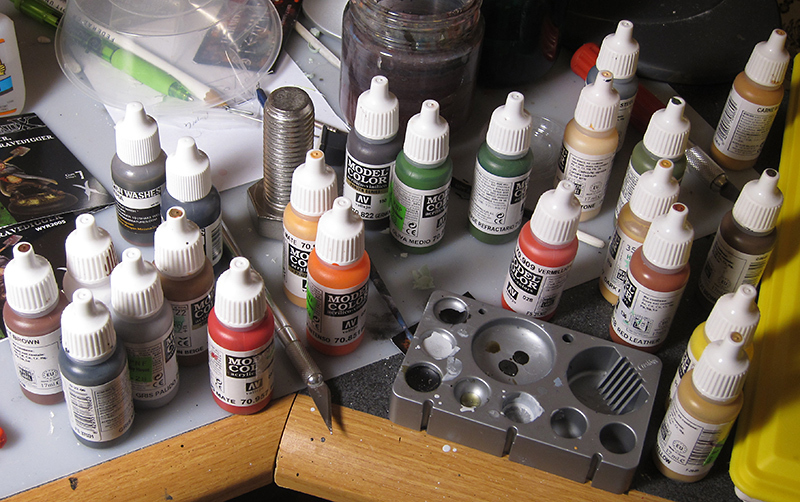 These are all the ones I used – 23 bottles. I am not sure if this is more or less than I use with other figures.